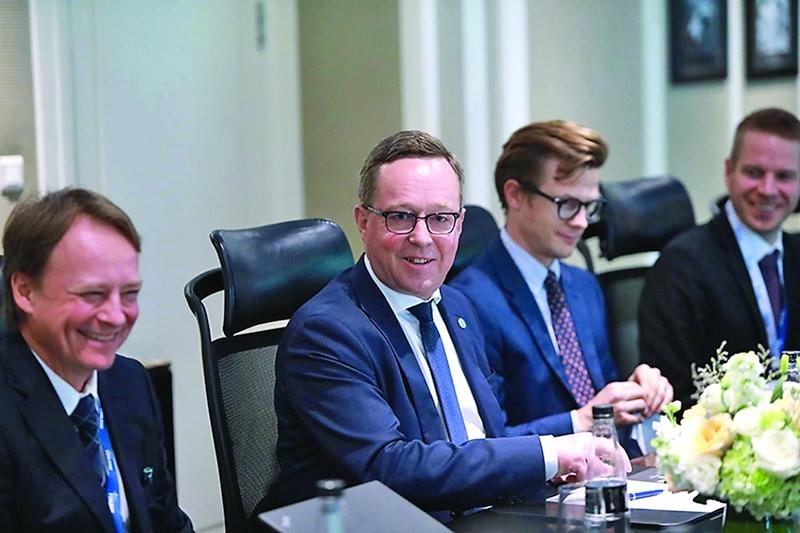 (VEN) - Finnish Minister of Economic Affairs Mika Tapani Lintila led a delegation of 20 business companies to visit Vietnam last month, marking the 45th anniversary of bilateral diplomatic ties. Finland regards Vietnam as an important market in Southeast Asia, as attested to by the presence of 120 Finnish companies operating in Vietnam, Lintila said. Finland and Vietnam signed the Vietnam-Finland Innovation Partnership Program (IPP) Phase 1 (2009-2014) and Phase 2 (2014-2018). The IPP, an official development assistance (ODA) program funded by the Vietnamese and Finnish governments, has made important contributions to promoting innovation in Vietnam and supporting a national innovative startup ecosystem. Lintila affirmed that Finland would create favorable conditions for Vietnamese businesses to promote innovation, as well as further strengthen cooperation programs between the two governments. According to the Vietnamese Ministry of Industry and Trade, total trade turnover between the two countries has increased consistently over the years. This figure reached US$458 million in 2017, an increase of 39 percent compared to a year ago. Of which, exports to Finland stood at US$165.2 million, while imports totaled US$292.8 million. In the first nine months of 2018, total bilateral trade turnover reached US$321.93 million, a drop of 5.2 percent compared to a year ago. 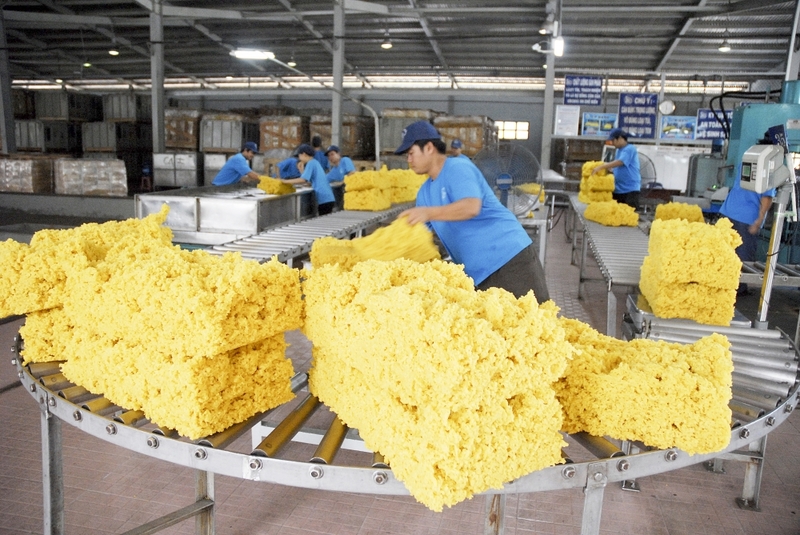 Vietnam’s exports to Finland amounted to US$131.77 million, an increase of 23.4 percent compared to the same period last year, while imports stood at US$190.16 million, a year-on-year decrease of 12.51 percent. Vietnam’s exports to Finland are coffee, rubber, footwear, garments and textiles, handicrafts, furniture, bicycles, computers, electronic components and spare parts, while imports consist of machinery, equipment, vehicles, garment and textile materials, leather and footwear materials, plastics, spare parts, steel and iron. A delegation of 20 Finnish companies descended upon Hanoi to share the unique expertise the Nordic nation has developed in converting waste to energy and ICT. Among them are BMH Technology Oy, Fortum Power and Heat, and Simosol Oy. Finnish companies expressed their desire to seek new areas of cooperation as well as strengthen current business relationships. Lintila said that innovative solutions and technologies by leading Finnish companies will engage the attention of Vietnamese partners and authorities, who are seeking sustainable measures for socioeconomic development. Saku Liuksia, Program Manager for Waste to Energy and Bioenergy of the Business Finland, said Finland leads the world in Waste to Energy (W2E) technology. As Vietnam continues to develop both its power needs and the demand for clean energy and innovative ways to treat waste from households as well as agriculture and industry become paramount. Finland, world leader in water and waste treatment and renewable energy development, is willing to share its expertise and help Vietnam address these issues, Liuksia said. The World Economic Forum has ranked Finland as the most creative country in Europe for many years. Innovation has changed this country from an agricultural backwater to an attractive country with a high standard of living, a well-educated workforce and high per capita income levels. Technological innovation and business play a key role in the government’s development agenda. “We have particularly focused on biotechnology, clean technology and digitization. An integral part in the Finnish approach is to address global challenges such as climate change and water scarcity through innovative solutions. Vietnamese companies will certainly benefit thanks to cooperation with Finnish partners. By combining the strengths of the two sides, Vietnam and Finland can grow together,” Lintila said.